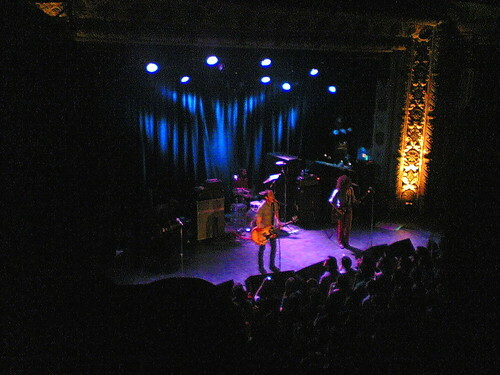 If you’ve seen my last.fm profile you should know Ted Leo is at the top of my list. I like Ted Leo for a number of reasons, musically, politically, and personally. We’re about the same age, and got started in the same music scene at about the same time. Of course nowadays I just type commands in the terminal, and Ted rocks out like nobody’s business. I’m glad I made it to this show, as I meant to see him in 2005 but missed it due to unreliable transportation issues. For a taste of Ted Leo live, check the Internet Archive, or NPR for a show from 2007. Posted on Friday, May 4th, 2007 at 12:50 pm. Subscribe to the comments feed. Both comments and pings are currently closed. Post on your own blog.